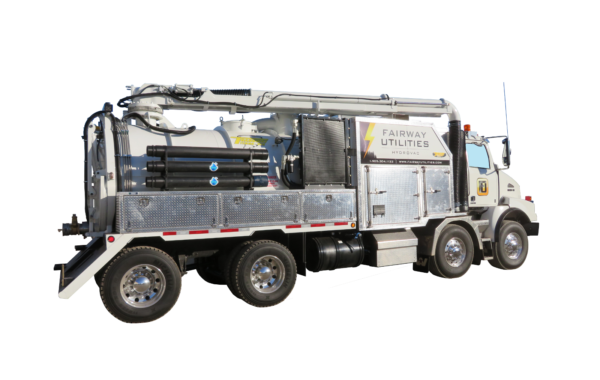 Our commitment is to listen and work with you to build the finest hydro excavators. 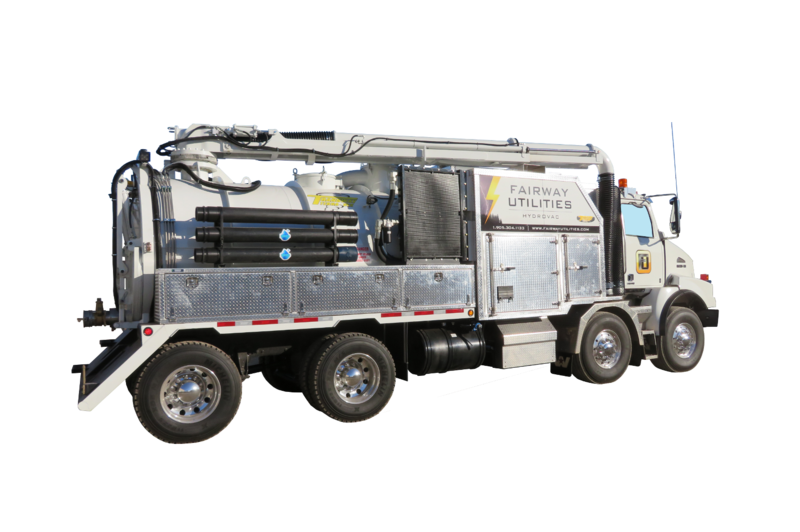 Backed by years of experience, custom manufacturing capabilities and an extensive inventory of quality industry proven parts, we can provide a level of service second to none. Take advantage of our quality and experience! We supply a wide range of hydrovacs from a 125 to a 145 blower. We make what you need, when you need it...from the big hydrovac for the large jobs, to the smaller hydrovac, for the smaller jobs. You have a choice of walk-in enclosure or not, depending on your weight restrictions. 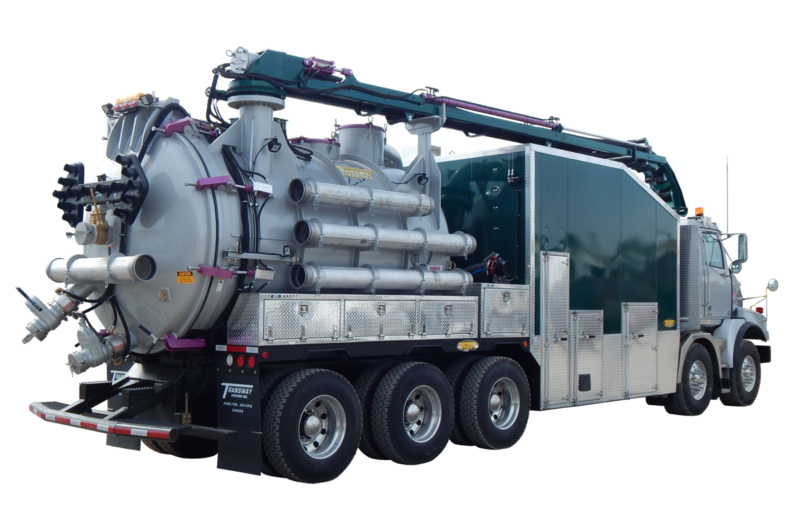 Our hydrovacs are custom built, fitting all of your needs with a "made to order" outlook. 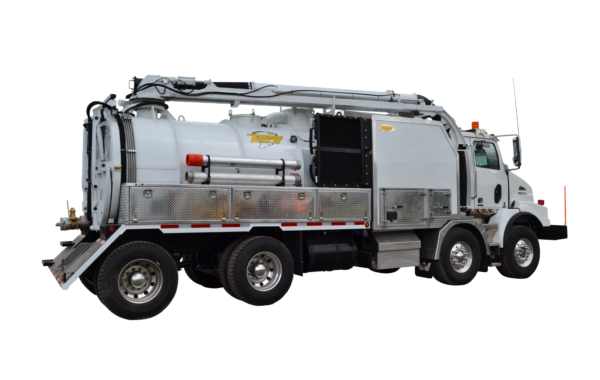 The Terra-Vex 125 is the true all-season Hydrovac Excavator from Transway Systems Inc. 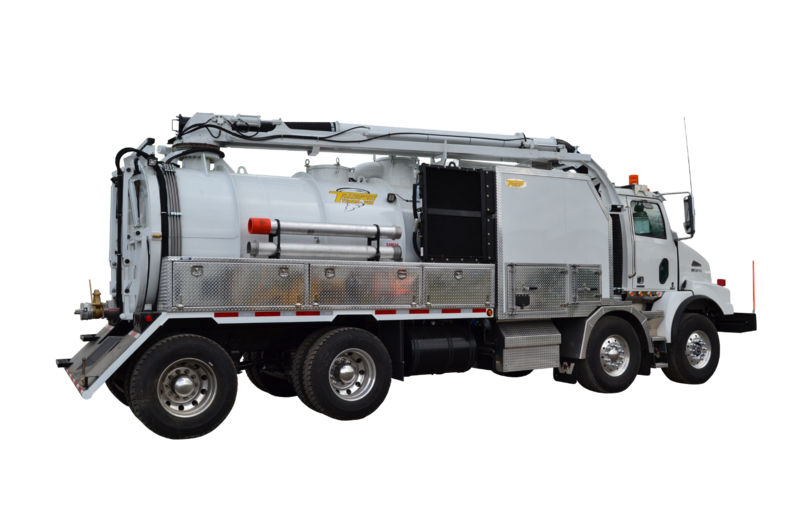 It features a direct drive Robuschi RB-DV125 3,800 cfm blower with hydraulic drive. 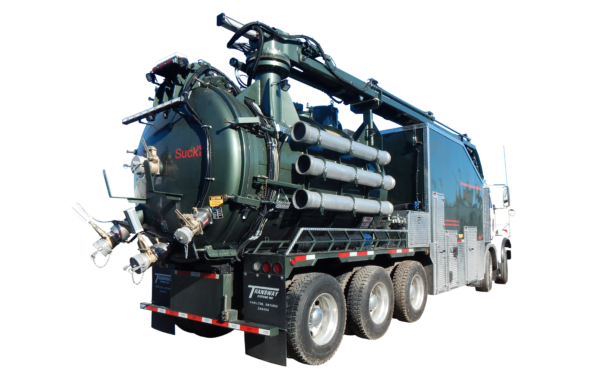 Water pressure is achieved by the hydraulically driven Triplex water pump, delivering 10 gpm at 3600 PSI. The 700 gallon HDPE water tank supplies a 420,000 btu diesel fired burner, permitting operation in sub-zero temperatures. The water pump and water tank compartments are heated by one diesel fired heater and one 12 volt engine coolant heater all contained within an acoustical enclosure, dramatically reducing sound levels to the surrounding area. 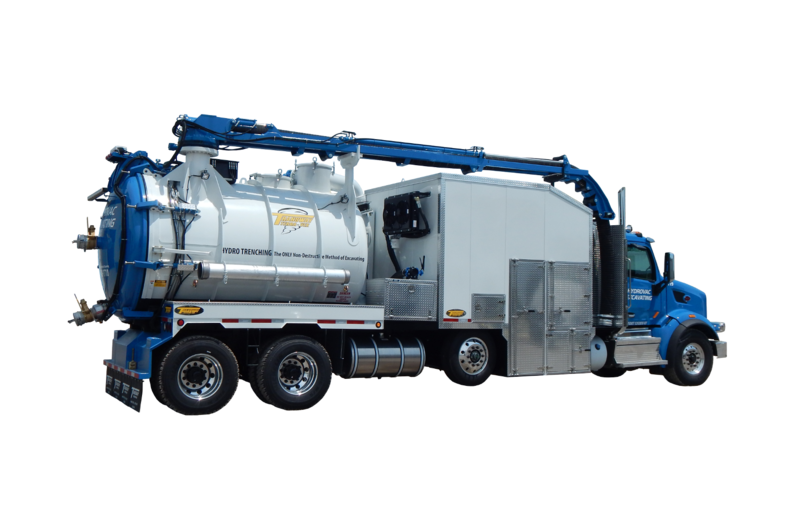 The 2400 gallon debris tank has a hydraulically operated hoist, half door complete with hydraulic door locks. The 26-foot hydraulically operated 8-inch suction boom is equipped with joystick control, and wireless remote control. It has on-board scales to maximize your payload and many more features! Your choice of chassis configurations. Other features include all parts painted/powder coated off the unit, marine grade plywood floor enclosure, three camera back-up system and digital water level display. Keeping the customer in mind, we have designed and constructed all components of this Hydrovac Excavator for easy accessibility and service. 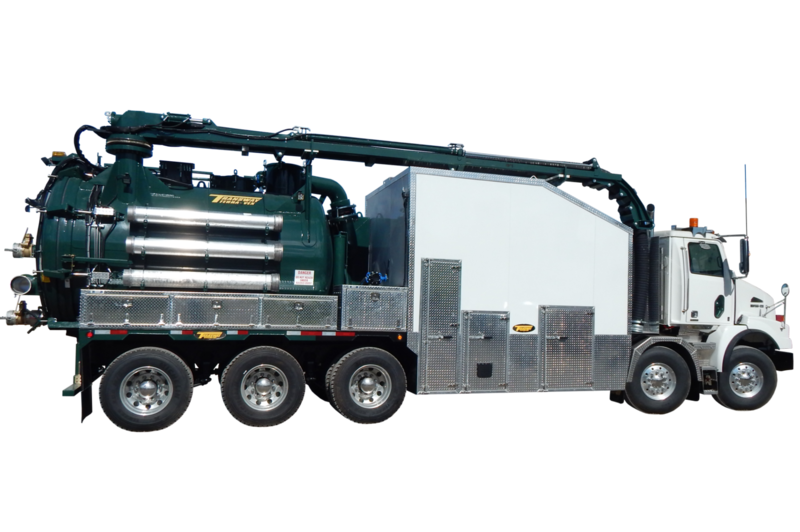 The Terra-Vex 145 is another true all-season Hydrovac Excavator. 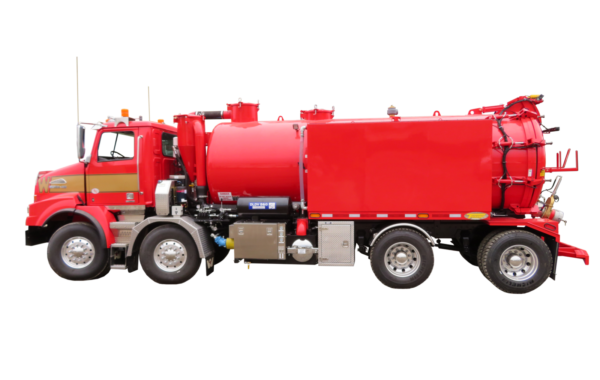 It features a Robuschi RB-DV145 6,400 cfm blower with OMSI transfer case and insulated acoustical enclosure with walk-in storage. 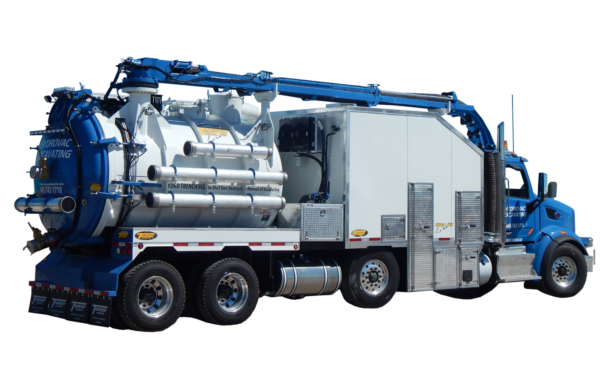 Water pressure is achieved by the hydraulically driven Pratissoli KT20 water pump, delivering 10-gpm at 6000 PSI. 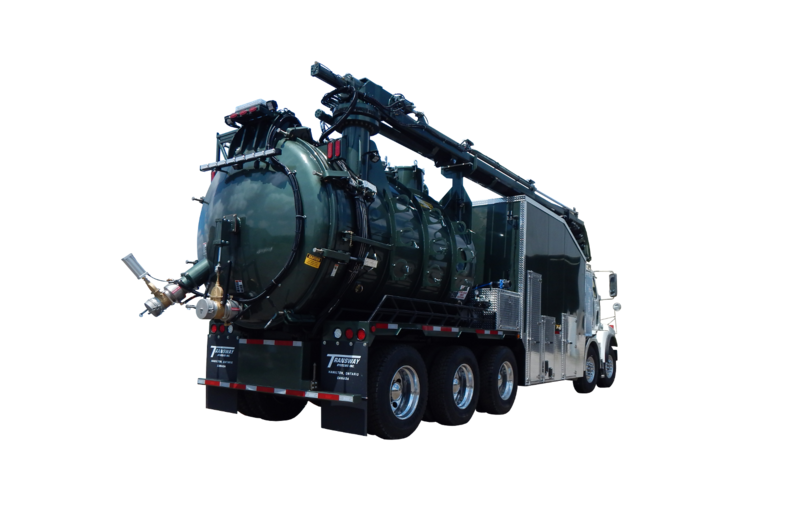 The 2500 gallon debris tank has a hydraulically operated hoist, door locks with full open door. 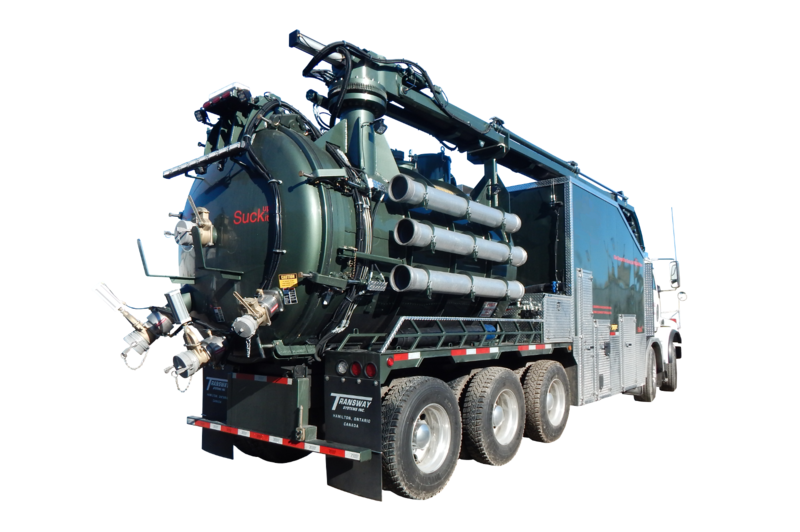 The 1200 gallon HDPE water tank supplies a 420,000 Btu diesel fired burner permitting operation in sub-zero temperatures. 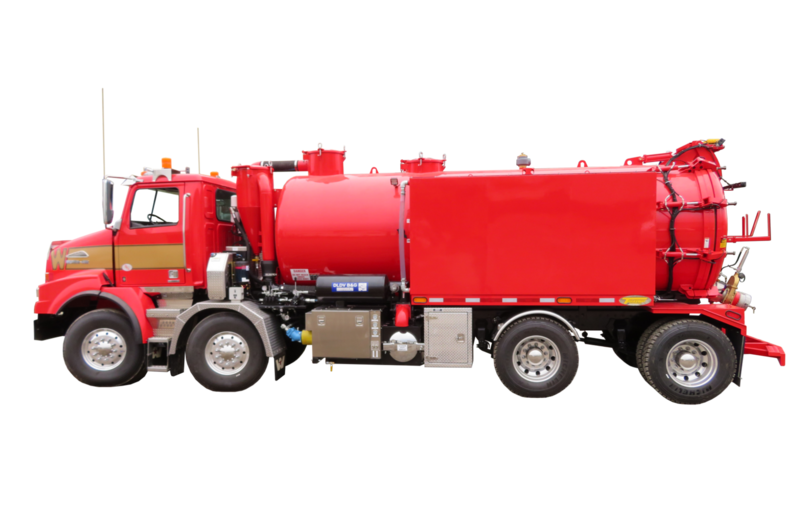 The water pump and water tank compartments are heated by one fired heater and one 12 volt engine coolant heater. Many options are available...we know that each customer has different needs and wants. We provide an outstanding product that not only you will be proud of, we are proud of. We stand behind our products!